During the winter months, you may notice that your dry skin seems to be more aggravated. 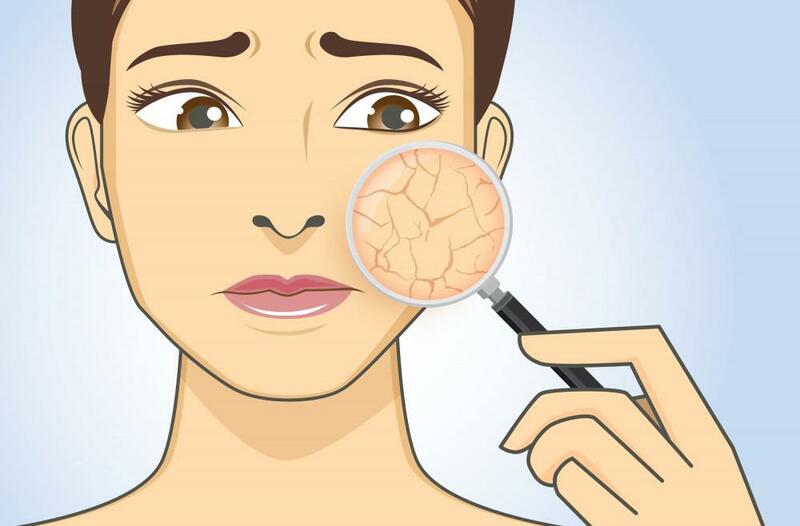 And while some of the tricks you picked up in the past might be helpful, most dry skin sufferers make simple mistakes that can end up doing more harm than good for their skin. While deep cleaners may seem like your best option to remove that daily dirt and debris from the skin, they can make your dry skin even worse by stripping away natural oils and moisture, irritating the skin. Instead, gentle, lotion-based cleansers are a great option for sensitive or dry skin types. Try using a soft cotton pad, or just use three fingers in light circular motions rather than scrubbing your face harshly with each wash. While hot showers may feel great, they may be the worst thing you can do for your dry skin. High temperatures shift your natural hydration levels, pulling water out of the skin cells. Your best option is to take lukewarm showers and to keep them short. If your mirror is steamed up after your shower, than the water is too hot. As for moisturizing, the best time is right out of the shower while your skin is still damp. Another common misconception is that you only need one type of moisturizer. Not all moisturizers are the same, especially when it comes to managing dry skin. Lighter moisturizers either don’t penetrate the skin fully, or quickly evaporate before they can deliver any benefit. Instead of an oil-free or water based moisturizer, try to find a richer moisturizer that contains ceramides and lipids. Although over-exfoliation can prematurely remove healthy skin cells, some exfoliation can also cause problems. Dead skin cells can form a barrier and prevent the efficient penetration of your moisturizer. A chemical exfoliating cleanser, cleansing brush or even a gentle scrub are beneficial 2 to 3 times per week. Making removing products that contain alcohol or other astringent-based ingredients will basically deprive your dry skin of the moisture it needs. A good alternative for removing makeup is using a non-irritating cleansing cloth, or even just a mild soap. Regarding toners, there are a wide variety to choose from, but make sure you read the ingredients to be sure that they are alcohol-free first . Something that can't be stressed enough is how bad it is for your skin to sleep with makeup on. Doing so can cause severe irritation and dryness. Makeup makes it difficult for your skin to “breathe” properly, so keeping your makeup on at night is one of the worst things you can do for your dry skin. Make sure you properly clean your face before bed, your skin will thank you!